Definition: An exact statement or description of the nature, scope or meaning of something. For most things in life, there is a definition. Once in a blue moon however one comes across something that doesn’t fit any preconceived notions you might have about anything. 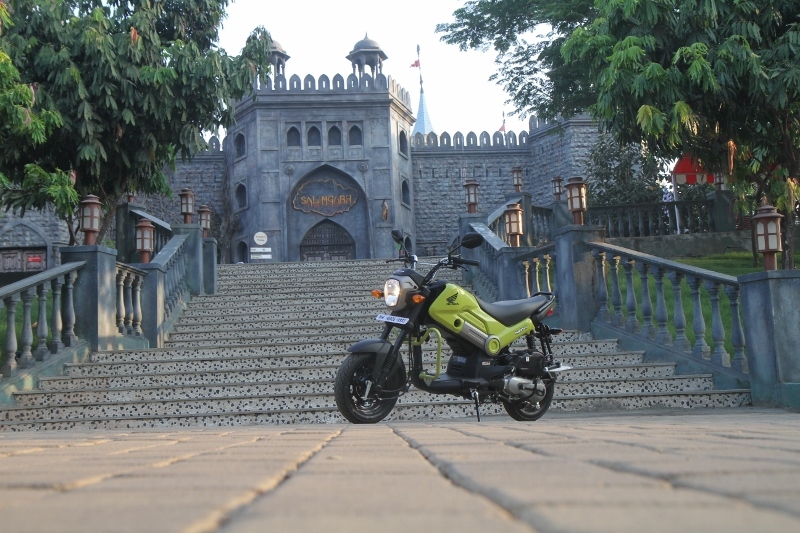 Welcome to the world of the Honda Navi (pronounced Nu-vee). 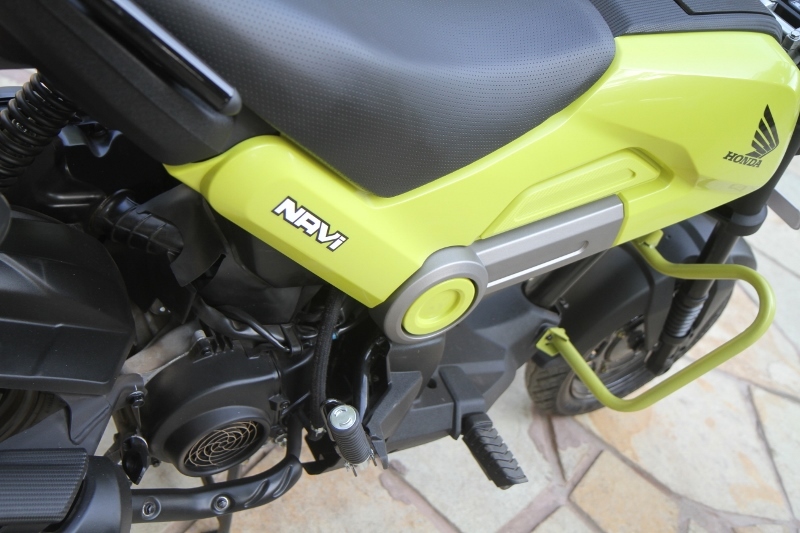 A strange hybrid that has been created to merge a scooter’s soul in the body of a motorcycle, the Navi is a totally out-of-the-box concept. The first time we saw the Navi, it blew our minds. The second time we saw it, the same thing happened and when we saw it again this month, it blew our minds. Again. 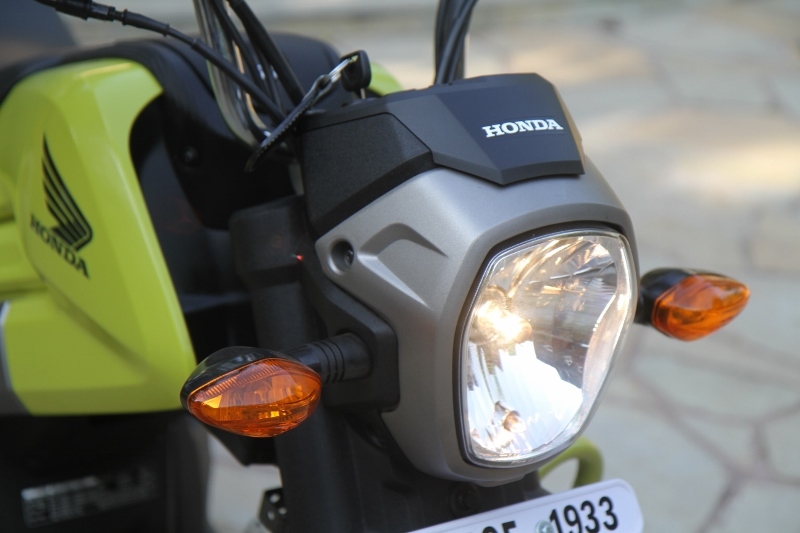 It’s just so unique that the average human brain, which is used to classifying two-wheelers either as a motorcycle or a scooter, has grave difficulties placing the Navi. 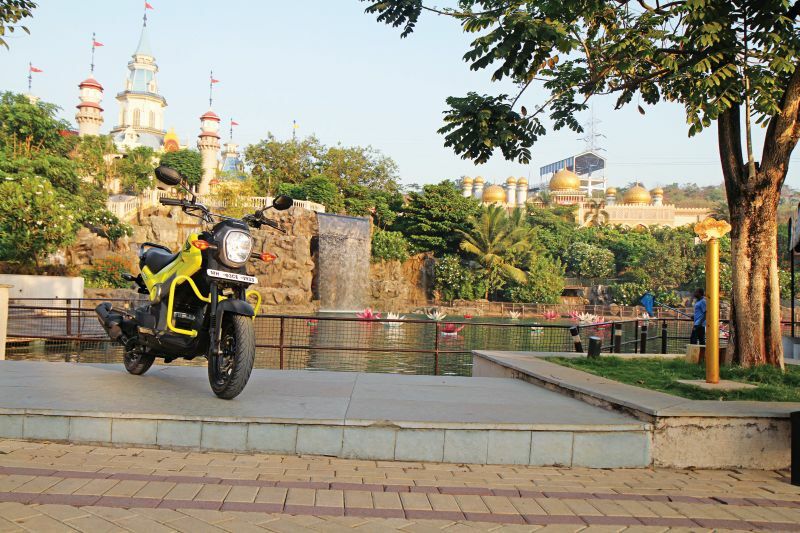 In fact, on the ride back to Pune from Khopoli wherever we stopped we saw throngs of curious folk saunter up to the Navi and then spend the rest of their time looking for the gear lever. 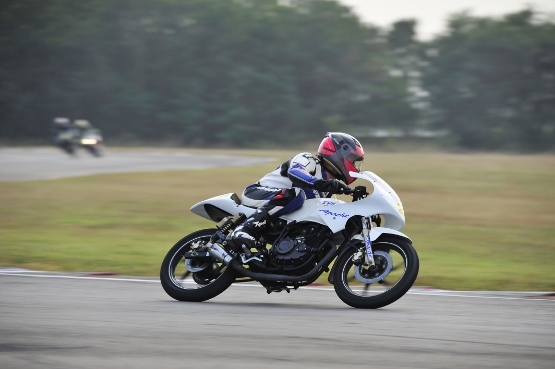 This, despite us telling them that the two-wheeler they were ogling was exactly like the Activa to ride. Everything about this little thing is very funky, from the way it looks to the five colour options available to the customer. Not to mention the array of optional accessories on offer (for a price of course). Perhaps the only two things I didn’t like much were the instrumentation and the fuel filler flap. 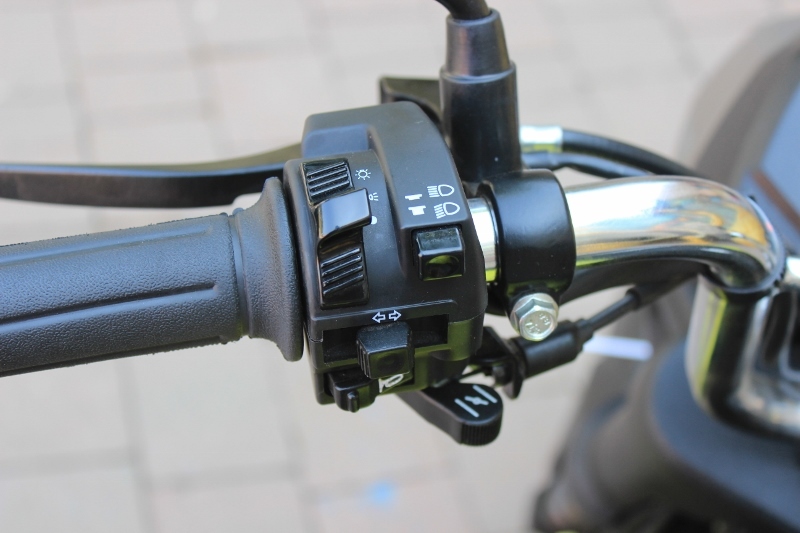 For a bike this cool, the single dial of the speedo housing the lamps for high beam and turn signal indicator is just too plain Jane. 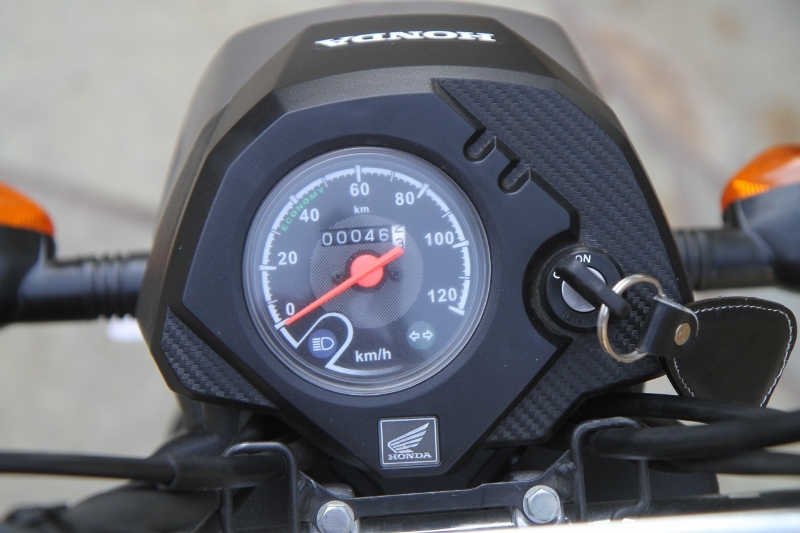 The Navi begged a cooler (certainly more contemporary) instrumentation, perhaps an all digital one that would change colour in tune with the colour of the bike? 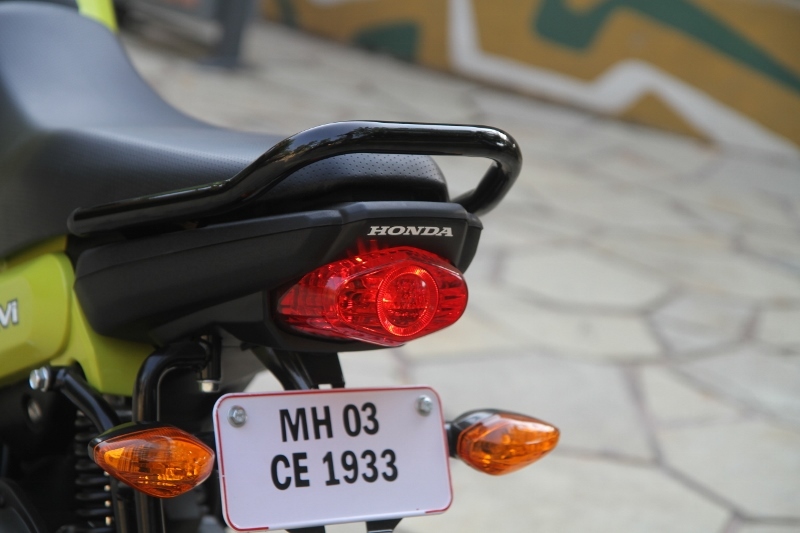 The plastic fuel filler flap, below which hides the real tank cap, too feels flimsy and built to a cost. Again, on a machine that redefines cool, a better finished and fitting fuel filler cap would only add and not subtract from the bike.